+++The purpose of Peer Reviews is to offer readers books recommended by people who have read the story and can comment in depth because they have an appreciation for what it took to create that story. Reviews are written by the author’s peers: other authors, editors, publishers and professional members of the writing community at large. We accept book reviews written by any of the aforementioned, so long as the reviewer fully discloses their position in the writing community and their relationship to the author. +++Reviews should include links to the book’s retail pages and to the web page of the book’s author, and, in the interest of transparency, should include links to the reviewer’s web page. +++Disclaimer: The Writers Co-op accepts no responsibility for any review, other than to delete a review if so requested by the author. The Writers Co-op reserves the right to ban any reviewer or poster and to delete any review or post for any reason whatsoever. 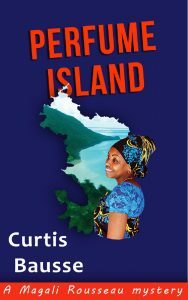 Well, Curtis Bausse’s amateur sleuth Magali Rousseau has stumbled across trouble again in his new book Perfume Island. She’s currently vacationing with her friend Charlotte on the beautiful tropical island of Mayotte in the Indian Ocean. One day Magali makes the mistake of speaking with Charlotte by cell phone while Charlotte is driving back from the market (a definite no-no no matter where you are!). There’s the sound of a crash and Charlotte’s phone goes dead. Soon Magali learns that while navigating a curve in the road Charlotte apparently hit, and killed, a young woman. The local police and just about the entire population of the island assume Charlotte is at fault, but looking over the scene Magali begins to have doubts…. And so starts a new Magali Rousseau mystery. At first, the local officials go along with Magali, assuming they are humoring her in a pointless quest to help her obviously guilty friend. Then what is clearly a murder occurs, this time of a local developer who was flirting with Magali. Now Magali faces two tasks: she must help the local police investigate the murder, while also struggling to get their help and keep attention on Charlotte’s case. Bausse does an excellent job coloring in all the inherent conflicts of what should be a tropical paradise. 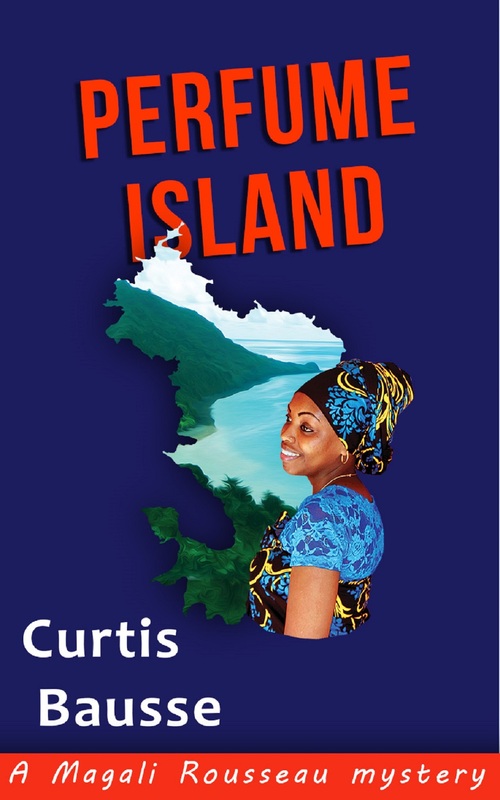 The island is currently a backwater plagued by unemployment, shanty towns filled with illegal immigrants who are mainly Muslim, and the conflicts that result with native islanders and wealthy Europeans tourists and developers. Using this background he constructs a story filled with possible clues that will keep you guessing. Are the two events – the dead pedestrian and the murder – connected? What, exactly, was the developer up too? Can the local police be trusted? Can anyone be trusted? As Magali struggles to find her way through a maze of “facts” to the ultimate answer, you will too. Bausse is a master at setting traps for the reader to fall into, so that just when you’re sure you know the answer up pops a new clue to send you off, scratching your head, in a totally new direction. Perfume Island is all in all a fun read with an ending that is totally satisfying and logical – even if you never see it coming. I highly recommend it to mystery buffs and anyone who enjoys a good read. I enjoy short stories. Why? Well, many are the times I just want to read something at the end of the day, something that I can enjoy in its small completeness. Sometimes I just want to take a break from writing, and I know if I get involved in a novel I’ll keep finding excuses to put off getting back to work so I can read on (I guess I’m just a weak person in that way!). Dickens’ A Christmas Carol has been bunged through the remake blender so many times that it’s difficult to imagine anything new attached to it. Yet Anderson has come up with a fun, and refreshing take on the mythos. We are introduced to a woman named Wylie at the beginning. She’s a Teselym dragon tasked with bringing balance to the world. At least at night. During the day she’s human. It’s clear, early on, she’s not one hundred percent pleased with her existence. But she handles her duties expertly and becomes our avenue into a fascinating universe. At the center of that universe is Professor Langford. Like Scrooge before him he’s a despicable human. Anderson goes out of her way to drive that point home when he’s visited by the first Immortal, a stand in for the ghosts of lore. The professor has abandoned his mother and sisters, leaving them to a life of abject poverty, after he’s stolen money from their business, fired the only honest help they had, and then went on to corrupt an honest man leaving him to be doomed for all eternity to be a Siapheg dragon; a creature that encourages evil in the hearts of men. This guy is seriously warped. He values money, and power, so highly that he’s prepared to cut the wages of his staff before Christmas, just because, and steal the invention of his best employee and present it as his own. In his personal ethos a Thunderdome-like atmosphere in the work place is desirable. Those who are weak, in his view, will quit and those are strong, or desperate, will stay. Really, he’s not a nice guy. If you know Dickens’ original you have a pretty good idea of how this all plays out. Which is fine. In Anderson’s universe the characters are rich, the Immortals are flawed and fascinating, and the clockwork dragons are interwoven flawlessly into the narrative. Anderson’s universe is wonderfully textured and clearly presented. This is an ideal book to share with your family or enjoy by yourself on a cold, winter’s, night. G. Russell Gaynor’s prelude to the Edgeworld Series is a rocking good read. Starting with a prison break, where readers have no clue who the good or bad guys are, or even what species, the book essentially starts in the middle of the story and then works its way back from there. It’s a fun technique and a great way to introduce readers to this universe. Prostitute of the State by Kate Kinnear is a highly enjoyable read. Mixing a small town, prodigal returns, story with one of cold war espionage doesn’t sound like a natural, but Ms. Kinnear pulls it off with gusto. It’s the story of Jack Paradies, former high school hell raiser and dysfunctional son, who returns to the small town of Sighclone, Nebraska after being away for years. The town hasn’t changed much, except for maybe being a bit drabber, and the locals’ (both acquaintances and family) only apparent achievement is to have gotten older. There is little there for Jack until he meets Jade Ratigan and her daughter Lucy. Jade owns a tavern – nothing fancy, if you’ve ever been in a ‘Dew Drop Inn’ in the middle of nowhere you’ve been to Jade’s place. Jack and Jade are quickly attracted to each other, and with the help of the precocious (and needy) Lucy soon develop a relationship. Despite his bad boy legacy and dysfunctional family upbringing, Jack is quickly drawn to the Ratigans, and since Jade has a “thing for outlaws” the attraction is mutual. The first part of the book takes us through their growing relationship, but also tells us a lot about the town (as seen through Jack’s eyes). We also get the sense that something dark in Jack’s past haunts him. Where was he all those years? Why did he return to Sighclone? You quickly feel that Jack is looking for something. That he needs something – he drinks too much, smokes too much, and maybe plays with the 9mm. he keeps in his truck a little too much. Does Sighclone meet his needs? It’s where he was born and grew up, and even though that’s the flimsiest psychological definition of ‘home’, it’s all he’s got until he meets Jade. Despite his bad boy image, Jack is the type who helps people. It’s a big part of who he is. When he discovers Jade is an aspiring author who gets praise for her writing ability, but not her stories, he decides to help her. Working to overcome his pain bit by bit, Jack tells her his story so she can turn it into a novel. 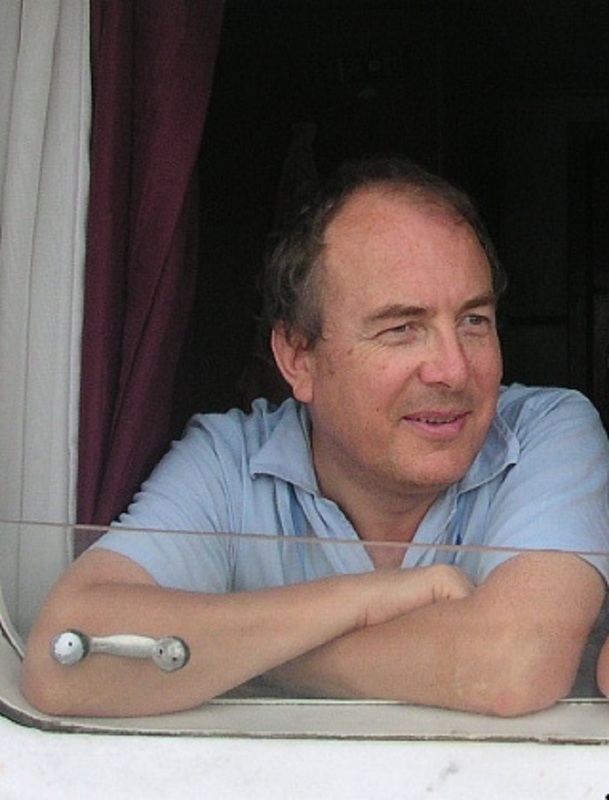 Kinnear masterfully intertwines the continuing story of Jack, Jade and Lucy’s growth into a family with Jack’s story of espionage, murder, paranoia and ultimate loss in service to his country. 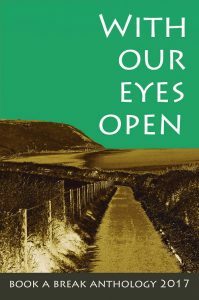 Kinnear writes with authority, ranging from the rapid fire, staccato descriptive style she employs while describing small town folks trapped in an unhappy life, to Jack’s matter-of-fact description of 1950s European scenery and events. She has a unique ability to draw her characters and scenes so they are totally believable – whether it’s a rundown bar in a withering town of a flyover state, a bucolic scene in Amsterdam, or a guarded railroad warehouse in Hamburg. I especially enjoyed the interaction of Jack, Jade and Lucy – real, coarse, with no pretense of sophistication, just real people trying to find happiness while living day to day. She also conveys a lot of information about her characters and their psychology through their actions and words – the mark of a good writer. In the end, Prostitute of the State, tells us that while it may be true that “you can’t go home again,” there’s always the possibility that simple human kindness and love can lead to a new beginning, family, and, ultimately, a new home. It’s a great book. You won’t be disappointed. Click here to buy it on Amazon .